In video gaming history, there have been few games that can stand the test of time better than the Civilization series. Set from the dawn of humanity right up until the colonization of space, there are players who are still playing the same game of Civilization 2 they started over a decade ago. Of course, time hasn’t stood still in the real world since Civilization 2 launched and this has caused complications for many gamers who still want to play the classic title. Fortunately, with a little tweaking, Civilization 2 can be made to run on modern PCs. In this guide we’ll show you how to get this classic title playing again on your modern PC. Any game which can last so long and inspire peoples imagination surely deserves our attention to help keep it running, after all. 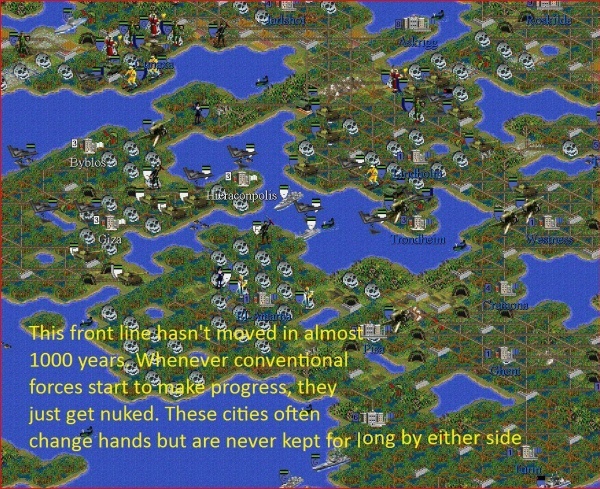 Like many of the more popular PC games, there were several different versions of Civilization 2 released. The versions we will be looking at in this guide are the “Test of Time” edition and the “Multiplayer Gold” edition. These versions were available separately and as part of the “Chronicles” boxed set. Earlier versions of the game use a 16-bit executable file and will not load on newer (64 bit) versions of Windows, so keep that in mind if you find a second hand copy of the game anywhere. Full details on all the different versions of the game are available here. Reddit user Lycerius’ dystopian decade-old Civilization 2 game continues to inspire new and old fans of the title. Lets just hope it doesn’t turn out to be prophetic. Civilization 2 will install on modern PCs without any particular issues. We recommend that you install outside of your regular “Program files” or “Program files (x86)” folder however. The reasons for this are two-fold. Firstly, like many old games, Civilization 2 needs permission to write to its installation directory. By installing to a user created folder outside of the regular program files folder, you will not need to concern yourself with setting folder permissions manually later. Secondly, patching the game can be awkward when it is installed in a location with a long folder path. Users installing the game from the Civilization Chronicles boxed set should pay particular attention to this. The Civilization Chronicles installer will install the game to “C:\Program Files (x86)\Sid Meier’s Civilization Chronicles\Sid Meier’s Civilization II Multiplayer Gold” by default. This path is so long that it is difficult to navigate to in the patching program. Select “Custom” installation instead and install the game to “C:\Games\Civilization 2 MP Gold” for instance. Before you start playing either Civilization 2 Test of Time or Multiplayer Gold, you should install the official patches. For Multiplayer Gold, download and install the patch available here. For Test of Time, use the patch available here. The Test of Time patch isn’t needed if you have the Civilization Chronicles version of the game. 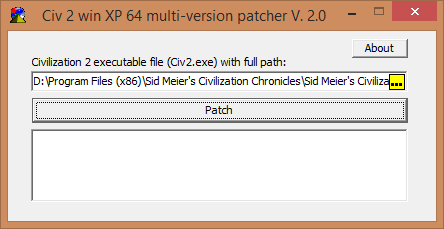 To run Civilization 2 on a 64 bit PC, you will need to use the Civ2xp64Patcher by Masterx. You can download this tool here. The tool works with both Test of time and Multiplayer Gold versions of the game. The picture below shows the tool running. To use the tool, click on the “…” button (highlighted in yellow in the picture). You then need to find the “civ2.exe” file to patch. Browse to the games installation directory and locate this file. Then, simply click “Patch”. If you have selected the correct file, the patch will be applied instantly. You are now ready to start playing Civilization 2 on your modern PC. Start the game in the usual way and make sure you have an hour or two (or the better part of a decade) to spare for this engrossing strategy game. If you have issues running the game, check the troubleshooting section at the end of the article. If both you and a friend have some time to while away, then how about a game of Civilization 2 multiplayer? The game can be played over your home network, the internet or in hot-seat mode (taking it in turns on the same PC). To play over the internet, you will need to know your IP address, you can easily find this out by visiting a page such as this one. If you have issues connecting you may need to configure your router/firewall to forward port 4993 to the computer hosting the game. Unfortunately, details of how to do this vary between routers. For more information on multiplayer games, see this page on Civfanatics. Game runs to quickly or consumes excessive CPU time:- In this case, try the CPU throttle fix available at Civfanatics here. Game music does not play:- This can occur on computers with two or more optical drives. When installing and playing Civilization 2, make sure to run the game from the drive with the first drive letter. So for instance if you have a DVD drive on drive letter E: and a DVD-Writer on drive F:, the Civilization 2 CD-ROM must be placed in the DVD drive (letter E:). If you are running the Civilization Chronicles version of the game, then according to the documentation that comes with this product, you need to insert the second CD in order to hear the soundtrack. However, we could find no evidence of any CD audio on either the first or the second disk of the boxed set, so in actual fact the Civilization Chronicles version of the game does not have the CD soundtrack at all. Videos do not play:- Civilization 2 uses the now obsolete Intel Indeo video codec for its video files. This codec is known to be problematic on more modern systems. We recommend installing the FFDShow video codec pack to enable playback of the games video files. Use this link to download the latest version. The download link should be in a blue box on the right of the page. Make sure to download a 32 bit version (even if you have a 64 bit version of Windows). If videos still wont play in-game, try setting the compatibility options to run the game in compatibility mode for Windows XP (Service Pack 2). Finally, try starting the game as administrator. A big thank you to the CivFanatics forums for all their help and advice on getting the game running on more modern PCs. Worked perfectly on Windows 8.1 – 64 bit. Installed Civ 2: MGE v1.0 from .ISO image, installed v1.3 update, used Civ2xp64Patcher, ran Civ2. Followed instructions and have no problems with the game working on Windows 8.1 64 bit either. This process worked without a hitch on Windows 8. I wanted to get a used computer with any older version of Windows just to be able to play test of Time again. I cannot express enough thanks for this! I’m trying to install on Win 8. Unfortunately, my compute seems to think the install CD is an audio CD. Any suggestions? Have you tried exploring to the CD? Open file explorer and go to “Computer” then click on the icon for your CD drive. So you can actually see an .exe file then? What happens when you try and run it? You have an early, 16 bit copy of the game, see the section “A note about different versions of the game”. Unfortunately you will need to find a more recent edition. I did everything as it says in tut, but ToT doesnt work on 8.1 Win. :( Anything I do it goes ‘this app wont work on your machine’. Help! Sounds like you have a 16 bit version, but all Test of Times should be 32 bit so that’s puzzling. Thank you BuckoA51 for an answer. I really don’t know how to check the game ver. I have 64bit system, is that a prob? Potentially yes, 16 bit games cannot run on 64 bit Windows. I didn’t think there were any versions of Test of Time that were 16 bit though. Are you getting the error when you install, or when you try to play? It comes when I start the game, it installs with no problem. And you’re seeing the “This app can’t run on your PC” message when you try to start it? Didn’t work. Came up with XDaemon.dll is missing. Worth a shot. Hopefully someone will re-release the game for new machines at some stage…. Definitely does work, sounds like you made a mistake during patching or something along those lines. Uninstall it and start again from scratch. Will the patch work on Windows 8.1? Currently running Windows 7 and playing the game with a patch. That’s what I tested it on and it worked for me. Using MGE. Installed the patches. It started up, but as soon as I selected my civilization I got the dreaded “civ2.exe has stopped working” message and had to close out. Can’t start as windows is claiming I need DirectPlay to run this program. Windows 8. Followed the instructions. Awesome, thanks! Now i get to the game menu. But it crashes when i try to actually start a game. Hmm! Had a few folks say that recently, would you mind trying something for me? Follow this tutorial – http://www.top-windows-tutorials.com/dep-settings/ and add the games executable file to the list of programs excluded from DEP. Let me know if it makes a difference, cheers. Ofcourse, I’ll see what I can do! I edited the DEP settings but unfortunately it didn’t help. The game starts up but crashes when the actual game is meant to start. But I will be checking in here periodcally to see if a solution is found. Ah well, thanks for trying it for me anyway. It’s strange it works on some machines and not others. I did all of the above to load and patch the game and it plays pretty well. But at the end, when my spaceship finally lands the game just hangs and I get no info on how I scored or anything after the screen goes blank as the year the spaceship is to arrive begins. Can anyone offer a solution? I tried the patch and now all I get is this. It worked before but it wouldn’t play music, video or character animations. Now it won’t play at all. “We were unable to find the Civilization II Multiplayer Gold CD-ROM. Please check that the Civilization Multiplayer Gold CD is in a valid CD-ROM drive and then repeat the search by selecting “Repeat Search” below. How do I get Civilization II to work on VISTA? I have an original CD Rom from 1996 but when I try to run it, it says my computer Windows version is not compatible with it! Sounds like you have a 16 bit version, see “A note about different versions of the game” above. goes to page not found. any help? Thanks for letting me know. I’ve updated the link to point to a working mirror. I have Windows 8 and did the patch, and the game works fine albeit a bit laggy. However, if I try to play a scenario, as soon as I click on ‘Begin Scenario’ the entire computer freezes and I have to exit out of everything. Is there a solution to this? Thank you. Spent ages trying to get the 16bit ToT working on Win8.1, then came across this page…downloaded both relevant patches and now works, after previously stopping working at various stages within the menu. 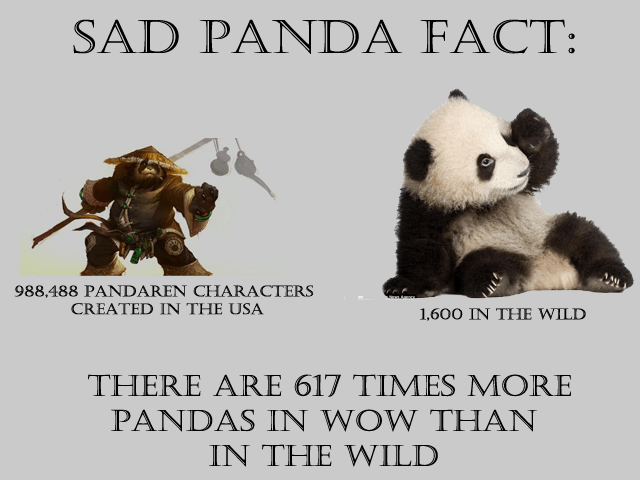 Just a thanks to all involved in creating the patch and those letting people know about it! Just amazing, worked perfectly in minutes…1st time! I spent ages with my Windows 10 32bit laptop sorting this problem, and wasn’t looking forward to battling my 64bit desktop computer, thank you so much for this. I can’t get the multiplayer to work. I’v opened firewalls, opened ports, and tried LAN. I keep getting “waiting for game machine to connect” message for direct connect, network, and internet game. I have even tried Hamachi. no success. I get the message “this game was canceled” when I cancel trying to host the game after 10 minutes. I can’t get the game to even start. I’m running Civ2 MGE from a CD and I’ve downloaded the patch and the patcher and used each. Every time I try to get the game to start I get “The application was unable to start correctly (0xc0000022). Click OK to close the application.” If you have any help or advice please let me know. Has anyone else had trouble getting the Indeo codecs to work on current Win10? I have the original 16-bit version and am running on Win10 32-bit (Home edition v1709), so the game itself plays, it’s just the videos that don’t work, and probably only with one of the recent updates to Win10 – I think it was working OK relatively recently. I’ve tried regsvr32 to register the codec, also installed FFDShow and K-Lite codec packs. Still no videos, and I can’t really think of anything else to try. 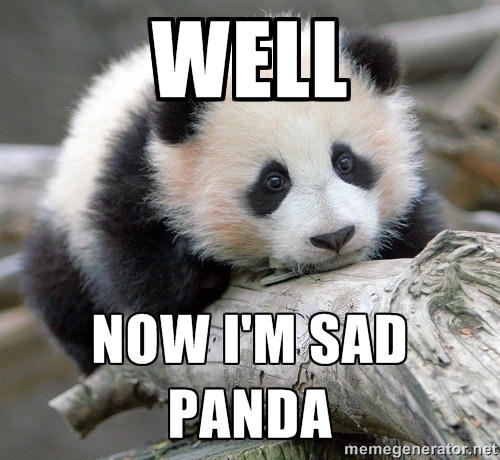 Forgot to mention – compatibility mode and run as admin did not help.